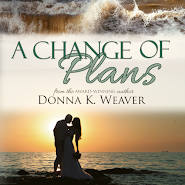 Following is an interview about A Change of Plans with CK over at Webb Weaver Books. I even got to read an exciting part of the book. Her intro is interesting, but the actual interview begins about 6 1/2 minutes in. Click here. At Dear Teen Me, here's a letter I wrote to my 15-year-old self. Here's a local article about the release of A Change of Plans. Click here. An article where I talk, with other authors, about NaNoWriMo. Click here. The narrator for Second Chances 101, Tiffany Williams, gave me some RiDONKulous questions to answer here.